Bellano Lodge & Conference Centre offers the perfect intimate venue, with spectacular venues to choose from. Our establishment, not only promises distinct quality and excellent service, but also guarantees a memorable experience in style. 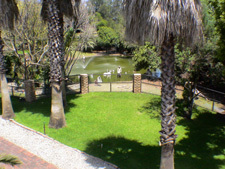 Situated on the outskirts of Centurion, midway between Pretoria and Midrand, Swan Lake creates an attractive and tranquil atmosphere for all your 'out of office' corporate requirements. So whether it's a conference, a product launch, a seminar, directors meeting, a wedding or simply a special occasion, Swan Lake will cater for all your needs.